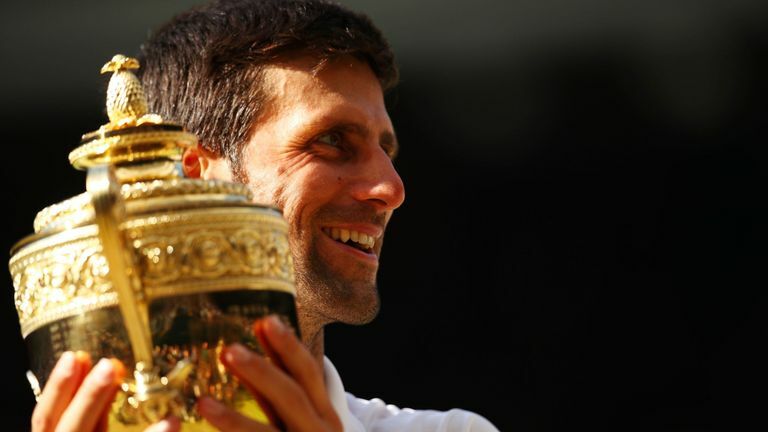 Novak Djokovic outclassed a fatigued Kevin Anderson to claim his fourth Wimbledon title and the 13th Grand Slam of his career on Sunday. Djokovic wrapped up a 6-2 6-2 7-6 (7-3) success on a sun-baked Centre Court to end a 25-month barren run at the majors. "It feels amazing because for the first time in my life I have someone screaming 'Daddy Daddy'," Djokovic said on court as he cradled the trophy with son Stefan having joined the rest of his family and entourage. "This was my first grand slam final in a couple of years and there is no better place in the world to make a comeback. This is a sacred place for the world of tennis. "I always dreamed of holding this trophy as a young boy, starting to play tennis, and this is very, very special."